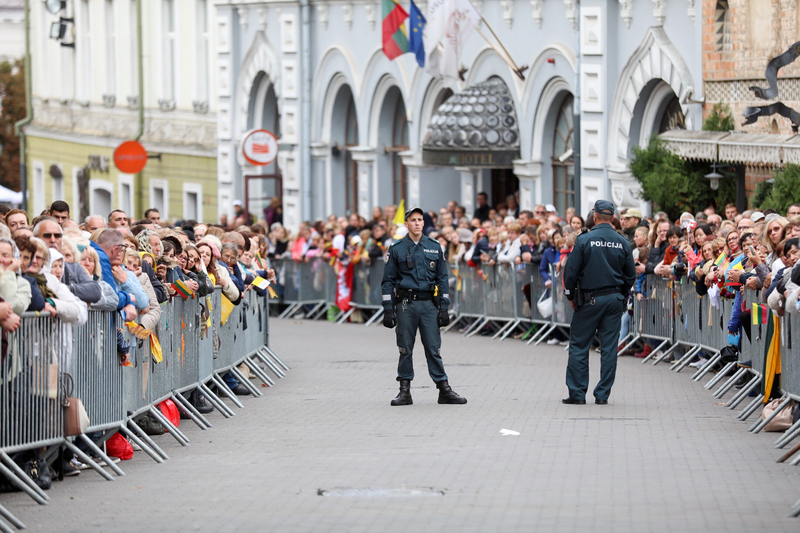 On the afternoon of September 22, people are gathered on the narrow Gate of Dawn Street and in St. Theresa’s Church awaiting the Pope’s arrival – large families and families that provide foster care or have adopted or are seeking to adopt children, and also orphans and sick people. More than 2,000 people are estimated to be present. During the wait for the head of the Catholic Church, psalms from Holy Scripture are being sung. The meeting’s presenter, Fr. 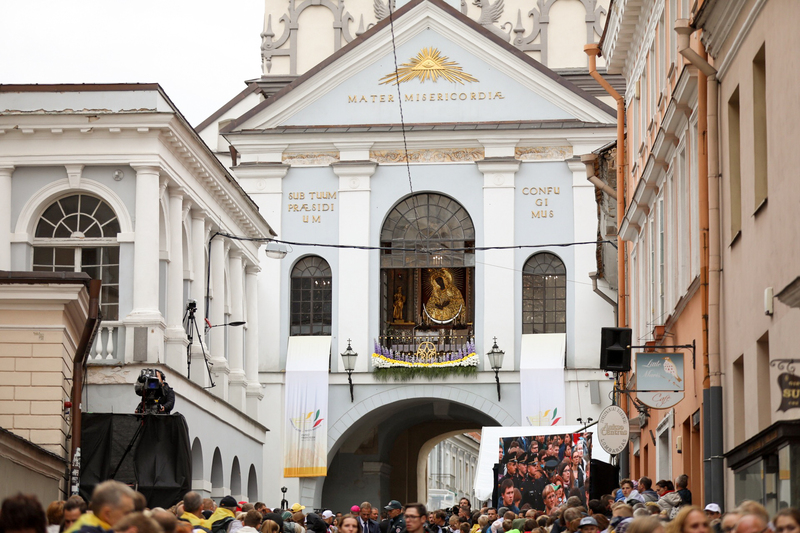 Gediminas Jankūnas, has introduced the Chaplet of Divine Mercy, and those gathered here have prayed the Chaplet together with the young people awaiting the Pope in Cathedral Square. It was prayed in five languages. The Chaplet of Divine Mercy is a prayer that Jesus dictated to St. Faustina in Vilnius in 1935. While waiting here, people have also been able to get acquainted with the history of the Gate of Dawn. Its rector, Mons. 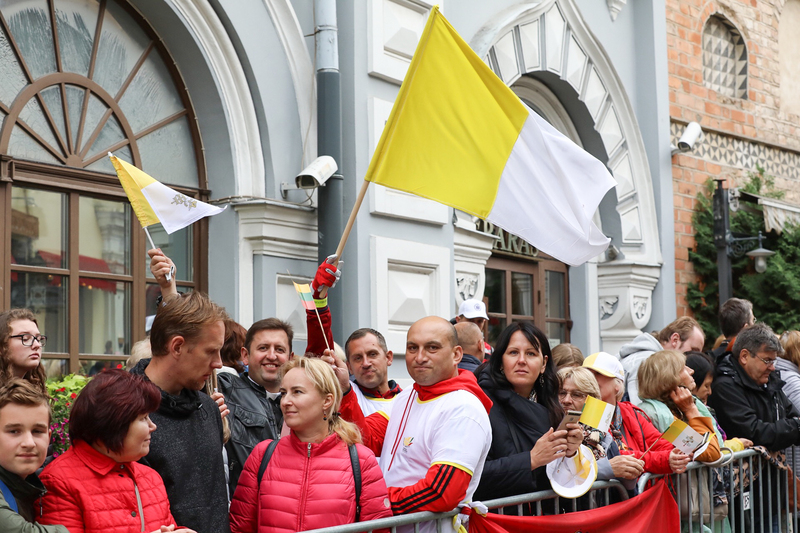 Kęstutis Latoža, spoke about St. John Paul II’s visit to the shrine of Our Lady of Mercy of the Gate of Dawn, and historic video footage of that occasion was shown. In St. Theresa’s Church, which is right next to the shrine, activities for children are being offered.